Dr.Amar Pujari and colleagues have reported a rare case of Bilateral ocular paralysis in an ocular emergency which has been published in BMJ Case Reports. Bilateral ophthalmoplegia is a rare clinical scenario and all such cases need quick and effective ocular and neurological evaluation. 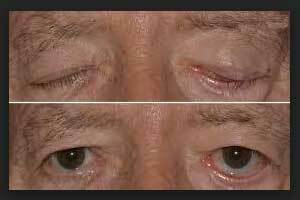 According to case history, a 70-year-old female patient was brought to the ocular emergency department with the chief complaints of bilateral severe ptosis and total external ophthalmoplegia (L&gt; R) for the past 1 week. There was no history of any significant medical or surgical intervention. On evaluation, there was a 6 mm ptosis in the right eye and complete ptosis in the left eye along with an axial proptosis of 20 mm in the right eye and 21 mm in the left eye as measured using a Hertel exophthalmometer. Both eyes had a complete restriction of extraocular movements in all gazes along with mildly dilated pupils with a sluggish reaction to light. Conjunctiva showed severe chemosis in both eyes (L&gt; R). The anterior segment was slightly shallow on both sides with nuclear sclerosis of grade I to II. Intraocular pressures were 18 and 20 mm Hg in the right and left, respectively. Retinal examination showed severe disc edema in both eyes along with severe retinal vascular tortuosity. A contrast-enhanced CT of orbit and head revealed a prominent and dilated superior ophthalmic veins on both sides in absence of any other significant orbital findings. However, there was a definite enhancement along the cavernous sinus on either side in their entirety but without any additional intracranial findings. 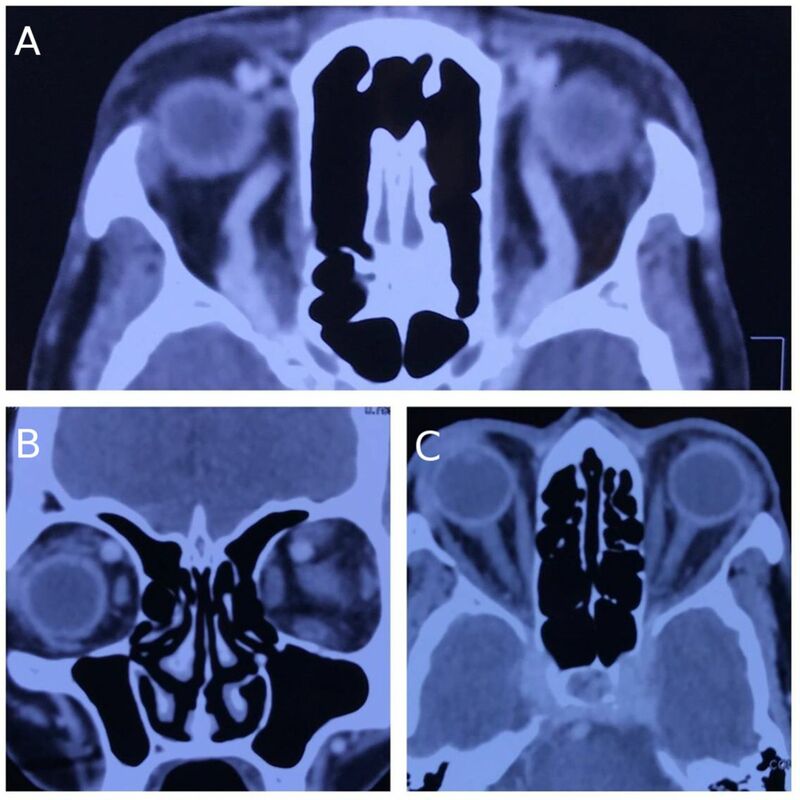 A clinical diagnosis of bilateral cavernous sinus thrombosis was made and the patient was immediately referred for neurosurgical evaluation. However, the patient and caretakers denied further evaluation and treatment. • While evaluating cases of unilateral or bilateral ocular paralysis, a tailored approach is needed, beginning from detailed clinical evaluation to skillful radiological interpretation to locate the pathology. • Similarly, considerations of other immunological diseases are equally vital. Considering all the aforementioned differentials and previous observations and reports, the inclusion of bilateral cavernous sinus thrombosis as one of the differentials for bilateral simultaneous ocular paralysis is of paramount importance.